Logo designed by Ryan Holt. We put icons on the nameplates to indicate which mediums each artist used. 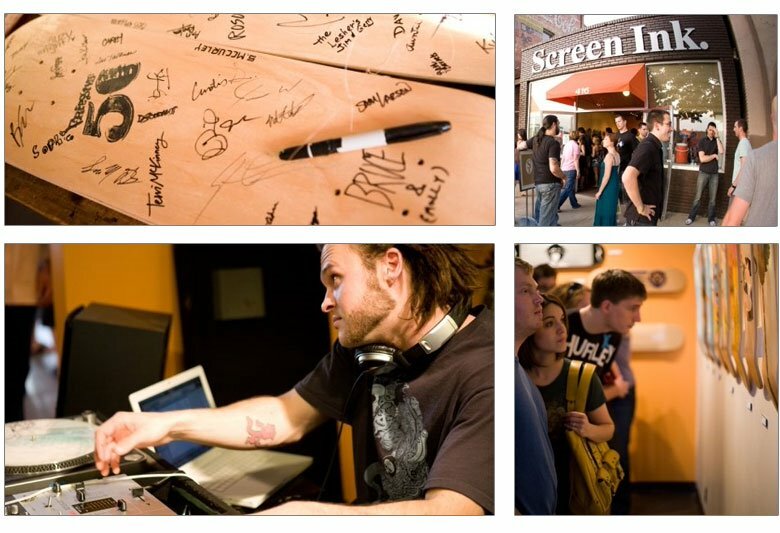 The Show - June 5, 2009 at Screen Ink with DJ Nost. Photos courtesy of Emir Plicanic. 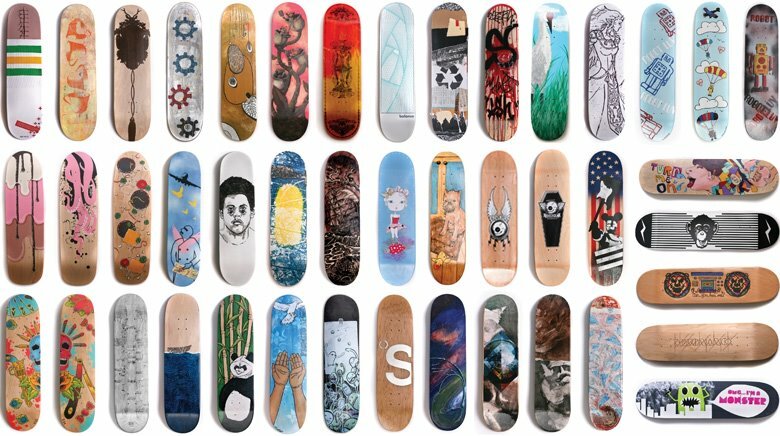 The Freestyle 50 was an art exhibit that I co-created with friend and designer Ryan Holt in 2009. 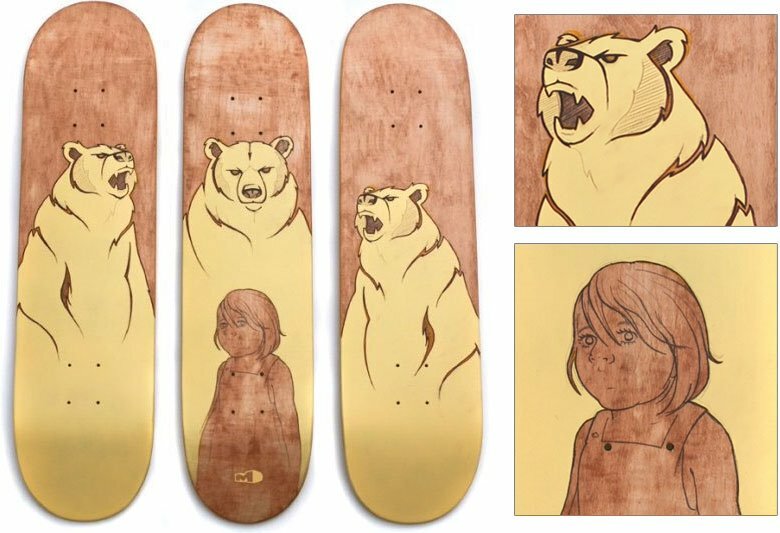 We featured 39 local and regional artists showcasing 50 personalized skateboard decks. The main purpose of the show was to feature the local talent in Lincoln to the community in an interesting and untraditional format. Mediums ranged from spray paint and stencils, acrylic, watercolor, mixed media and resin, vinyl, marker, fabric patches, ink, varnish, metal inlay, laser engravings and screen prints.